It’s that time of year where teachers in the Northern Hemisphere are already thinking about heading back to school. 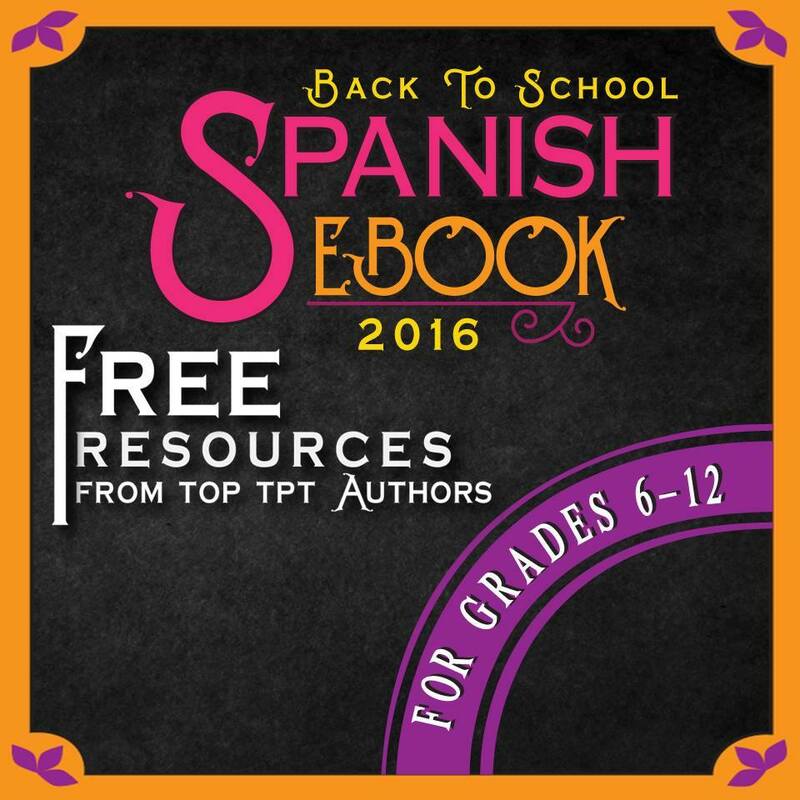 Well, to help you out, 21 creative Spanish teachers on TpT have come up with a FREE eBook containing tips and resources to help you have a great start to the new school year. Each page is packed with tips, freebies, and other resources to help you add some fun and engagement to your Spanish classroom. Be sure to click on the image for the free item on each page and to check out the other great Spanish resources by that author. If you teach lower levels (Kinder – 5th Grade), then check out the Elementary Spanish Ebook! If you found this useful, remember to share it with others.